A picture counter is a bunch of picture slides (up to 24) that allows for keeping track of different parameters during the game. Instead of using numbers, this counter uses a series of images. Picture counters can be used to simulate dials and spinners as well as stickers and in-game multi-page leaflets. They can be used as a random number generator like dice, but flat and with 1 to 24 custom sides. Users can go forward/backward slides (F or Shift-F), set a particular slide (right-click >context menu) or get a random slide (R). Dials. Imitate the dial used in the game — just create full pictures for each possible value. Or you can make a new, more compact version. Cards/tokens which will change during the game. A good example of this is some object in a Legacy-type game. 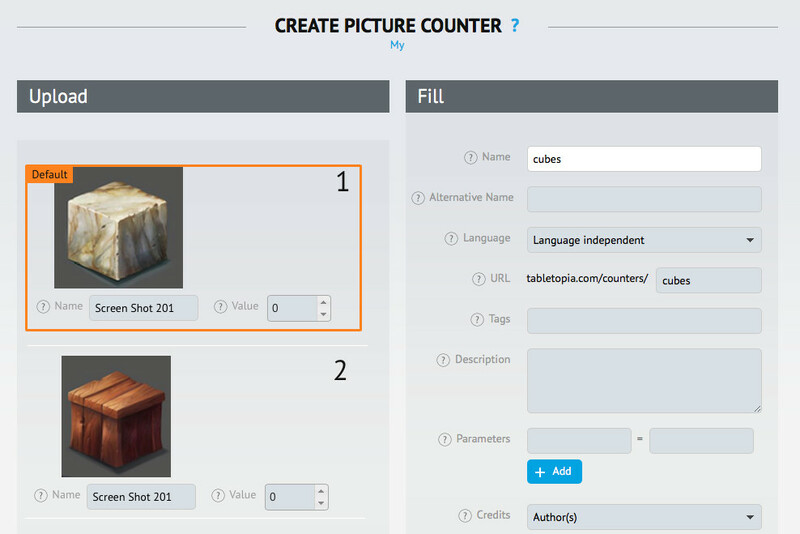 You can make the whole object as a picture counter, or place several picture counters on a bigger object. 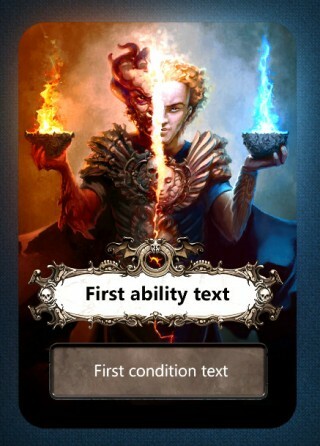 The ability and condition texts on this card are represented by picture counters. They can be changed due to some game events. Indicators. 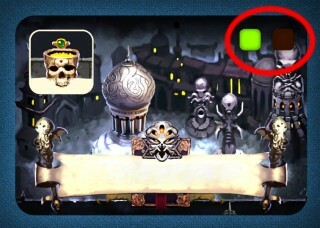 It is sometimes easier to place these type of counters as an indicator. Rule books, multi-page guides etc. If you have big books with rules we do not recommend using Picture Counters for this. Use for short rule books, for guides etc. 1-3 Mb file size should be OK, use .JPG for slides – so it will not increase size of your game considerably. 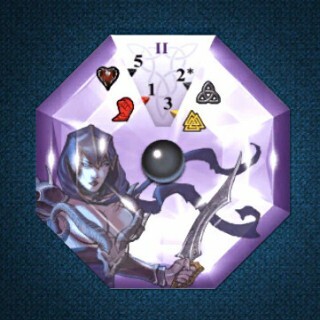 Note that new players may not grasp from the beginning that these are used like dice, because they look different. Click Create Object > Picture Counter. 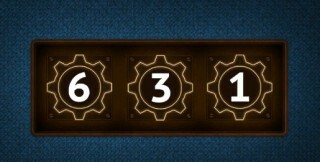 Fill in the name of your counter, and all necessary details in the right-hand panel. Click Add Slides to add the pictures for your counter. You can select several images at once. You can use PNG images with different shapes by using transparency, but note that the first image is used as a shape template: all the other images are resized and cropped to correspond the first image. Set the thickness and side color of the picture counter, if required. Tip: Consider giving appropriate names to all slides, because they are shown to players during the game.